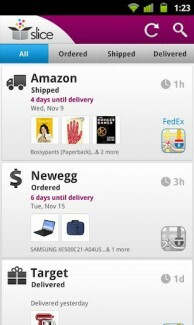 Slice, an online shopping organizer, made its way to Android today. If you do any or all of your money spending online, this is an app you should probably download immediately. All it takes is an email address that you send most of your online receipts to and it starts going to work. 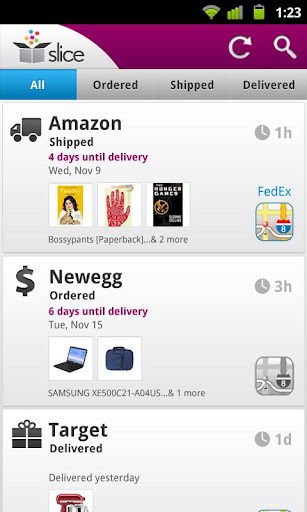 And what I mean by “work” is that it scans recent purchases and then grabs all of the important information out of them including tracking numbers. 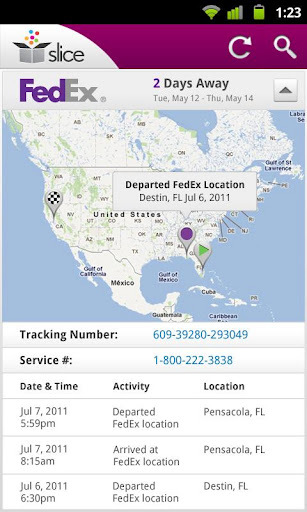 So once that email arrives in your inbox, Slice begins tracking its progress including when it will arrive on your doorstep. You can add up to 5 email accounts, in case you use more than one. 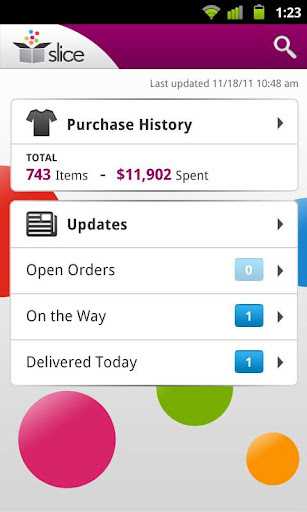 It will tell you how many items you have purchased online over the years and how much you have spent (Yikes!). Again, an amazing tool for those that spend their days shopping over this wonderful thing called the Internet.